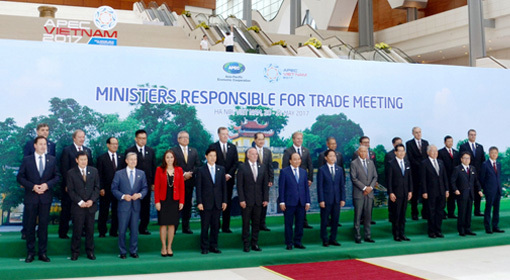 Hanoi: The 11 member countries of the ‘APEC’ reached an agreement on the revival of the Trans-Pacific Partnership without the US by stating that all alternatives would be examined for the immediate implementation of the Trans-Pacific Partnership. They also said that they would take proper cognizance of various aspects like trade protectionism, open markets, global trade system based on regulations, increasing global trade and the standard of living. The member nations have also suggested that the alternatives for the implementation of the ‘TPP’ would be considered in the conference to be held in Japan in the month of July. 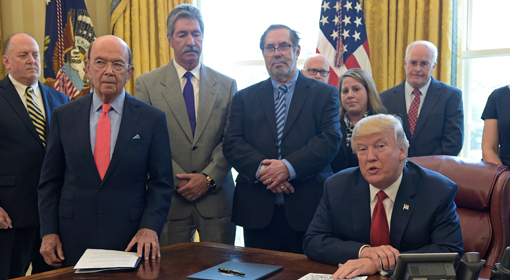 Washington: The US President Donald Trump has ordered an investigation on steel imports which are being dumped in the US by China and some other countries. He has stressed that this should be investigated as it directly impacts the national security of United States. Whilst signing the commencement orders for this investigation, Trump revealed that this does not specifically relate to China. However, Wilbur Ross the US Secretary of Commerce, is apparently seen supporting Trump’s order of investigation, but has first targeted China directly. Hence it seems definite that this investigation was mainly directed on Chinese imports. Mumbai: The IT industry in India which has seen an upsurge in the last few years, is however currently being faced with challenging financial headwinds. 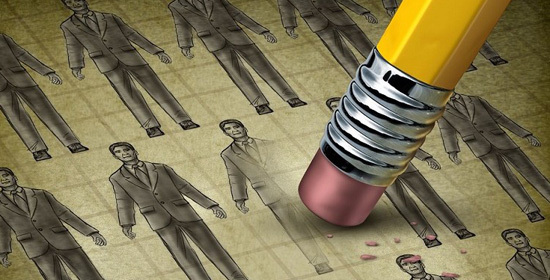 Under such circumstances, these challenges are leading the ‘IT’ sector companies to lay off their employees. While such fears are being voiced a new concern of its consequences affecting the real estate markets and posing challenges to it is also being expressed. Washington : US has agreed to export ‘Liquefied Natural Gas (LNG)’ to India. The US Department of Energy has authorized the export of 1.8 billion cubic feet of LNG per day to India from one of its projects in the Gulf of Mexico. 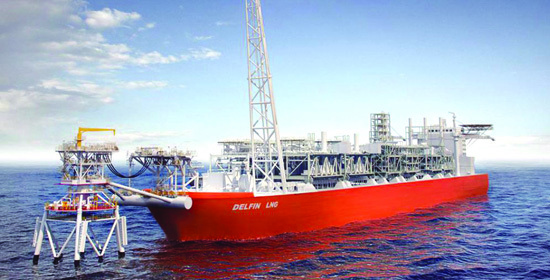 With increased demands for LNG in India, the supply of LNG from the US can prove to be very important in purview of India’s energy security. 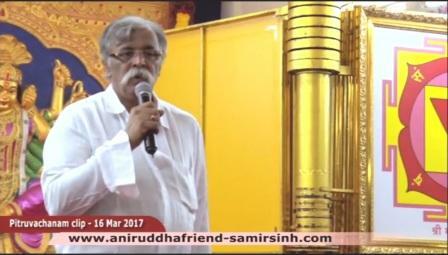 Talks were already in progress between India and the US for ‘LNG’ exports. 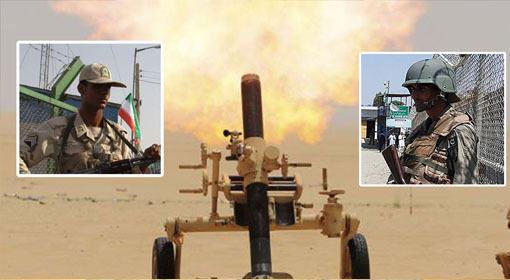 Islamabad: Tension between Iran and Pakistan has reached unprecedented levels and so the Iranian army fired mortar shells at the border areas of Pakistan. Though no casualties have been reported, this attack has been claimed to be a warning to Pakistan. Few days back the defense head of Iran had alleged that the terrorists are getting shelter in Pakistan and such areas could be attacked, he had warned. On this background, this attack on Iran is being considered a serious one. Washington: The biggest ever war exercises organised by the US and its friendly nations in the Persian Gulf are just over. The leading warships of the US Fifth Fleet along with 21 nations participated in this exercise. Friends of the US in the Gulf like Saudi Arabia, United Arab Emirates, Kuwait and Oman; major allies of the US, like UK and France had sent in their destroyers for this war exercise. An official who had participated in the war exercise said that the exercise had been organised after duly considering the situation in the Gulf. 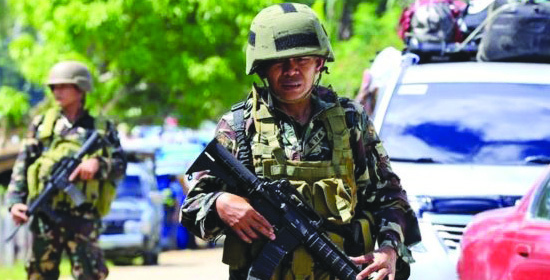 Clashes flared up between the Philippines army and the IS-linked terrorist groups; 44 killed including 31 terrorists. Manila : A severe conflict flared up between the Philippines army and the IS-linked terrorists groups on Mindanao island in Philippines. A few days ago, the President of Philippines Rodrigo Duterte had imposed ‘martial law’ in this region. 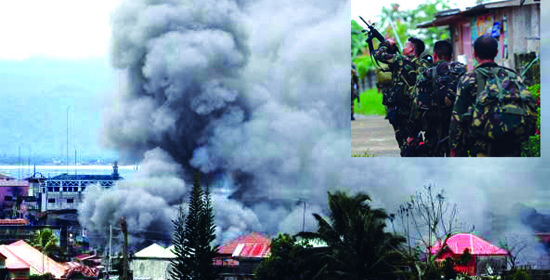 The conflict started after efforts to apprehend Isnilon Hapilon, the leader of the IS-linked group, failed and the terrorist groups have since managed to gain control over a part of the city of ‘Marawi’. 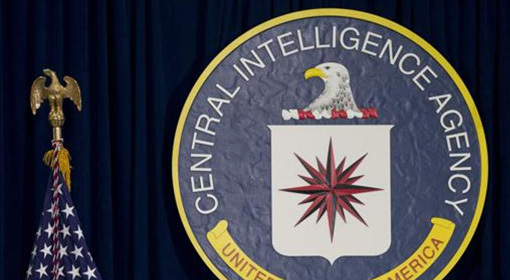 Washington / Beijing – China has given a shock to the leading US intelligence service, the ‘CIA’. It has come to the limelight that nearly 20 spies who were a part of the CIA’s ‘Spy Network’ in China have been killed. The leading newspaper of the US ‘The Newyork Times’ claimed this on the consent of the authorities in the ‘CIA’ and the ‘FBI’. China had conducted this activity in the period between 2010 to 2012 and it has also come to the fore that the ‘Global Times’ newspaper in China has strongly praised the Chinese administration regarding the said campaign. Manila: The Philippine President Rogrigo Duterte warned that he had no choice but to declare the Martial Law on the Islands of Mindanao and that it was their constitutional right to provide safety by executing the law. He also warned that if he thought that the ‘IS’ was spreading its network across Luzon and the terrorist activities were on the rise, then for the safety of the people of Philippines, he would declare Martial Law throughout Philippines. Moscow/Manila: There have been a staggering 11 cooperation deals signed between Russia and Philippines. These deals were signed during the Russian tour of the President of Philippines, Rodrigo Duterte, informed both the countries. This includes deals on Defense & Military cooperation and other important deals such as the atomic energy cooperation. 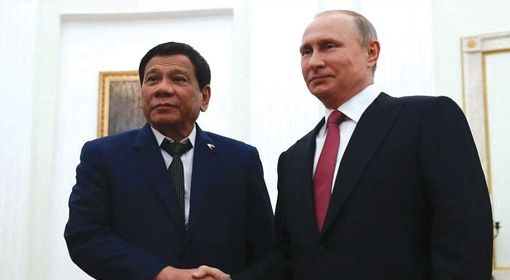 During the tour, the Russian President gave assurance to give complete assistance to the ‘Drug War’ initiated by the President of Philippines, Duterte. 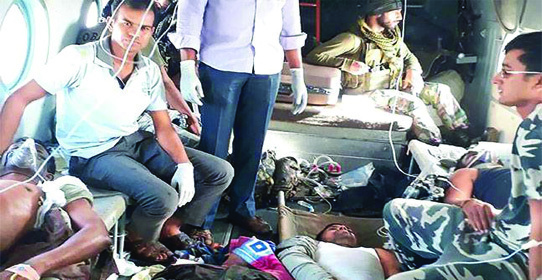 New Delhi : After the death of 25 CRPF jawans in the Maoist attack last month in the Sukma district of Chhattisgarh, the strategy against the Maoist was majorly reshuffled. The results of the aggressive reshuffling done to the tactics against the Maoist, are now visible and within a month 105 Maoists have been arrested while 25 Maoists have surrendered. 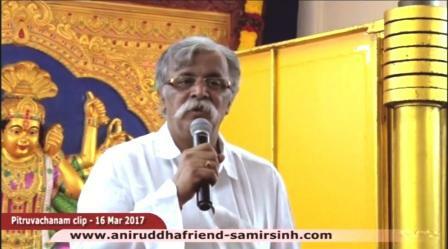 Further, there is a news that a huge number of arms and stocks of explosives were also being seized. 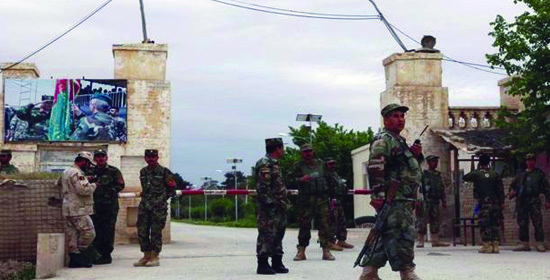 Kandahar: The attack by the Taliban terrorists on the Kandahar military Base in Afghanistan has claimed the lives of 15 army personnel and left 8 soldiers injured. Only three days ago, the Taliban terrorists had attacked another base of the Afghan army. The US military officials and intelligence agencies have alleged that the Taliban bases in Pakistan were responsible for the terrorist attacks in Afghanistan. United Nations/Moscow: By carrying out the tests on the ballistic missiles, North Korea has attempted to destabilize the Korean sector and made a joke of the United Nations Security Council’s regulations. The United Nations Security Council indicated that an instigating act of this nature would invite sanctions against North Korea. Likewise, North Korea should not conduct nuclear or missile testing again was the request from the Security Council. 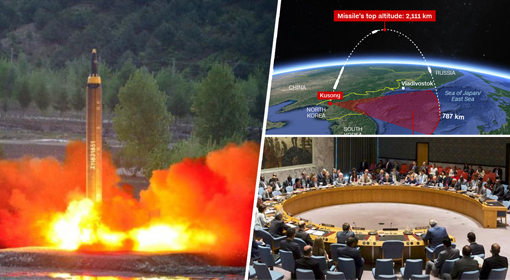 Sydney/New York/Seoul : North Korea’s unexpected testing of its missile after it showing its readiness to hold talks with the US under conditions, has drawn lot of flak from the international community. 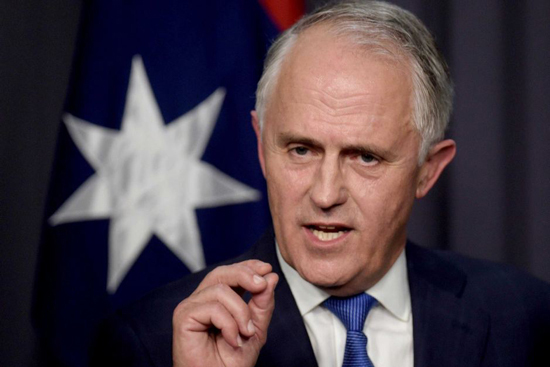 However, the Australian Prime Minister- Malcom Turnbull has criticized that China is solely responsible for North Korea’s s reckless, ‘provocative and unlawful missile test. PM Turnbull has called on China should take an initiative for North Korea to end the regime’s missile testing.